This is a heavy duty riddling grate and fits quite a lot of larger stoves - both current models and some 50 years old plus. It is a direct replacement / spare part for our CATHEDRAL / LAMBETH / MANOR multi fuel stove models as well as Suffolk Stoves Waverley model and Evergreen ST1020. 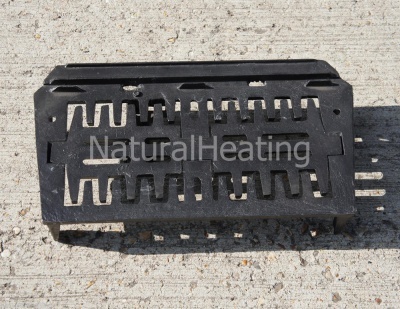 The wood / coal retaining bar that can sit on top of this grate is not included, but can be found in our other listings. 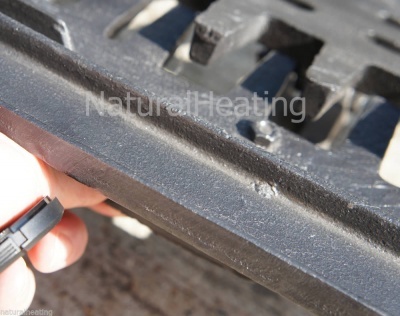 Please use measurements given to check if it will fit other stove models not originally purchased from us. The heavy duty key type handles which double as a riddling tool and ash pan lifter are available separately. Maximum measurements are given below. PLEASE make sure you ALWAYS season / cure new cast iron parts as you would with new stove. For best lifespan, NEVER burn wood and coal TOGETHER at the same time. This is what they do in foundries to melt metals and drastically shortens the lifespan of parts. 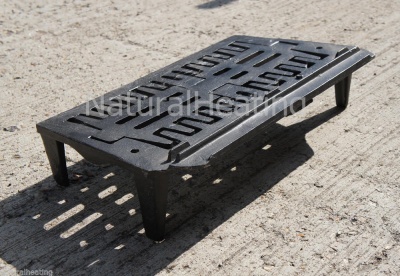 Burn wood on a bed of ash (use a metal plate on top of the coal grate if it isn't a removable one) and coal / smokeless fuel on a coal grate with clear air space above ashes. 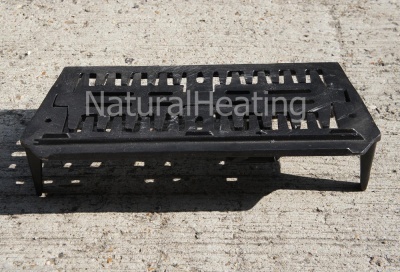 Be sure to empty ash pans under coal grates daily and don't allow ashes to bank up under bars.